While tasting a newly pressed olive oil at a conference in Sicily last year, biologist Gary Beauchamp, Ph.D., noticed a strangely familiar stinging sensation at the back of his throat. It reminded him of ibuprofen, a drug he’d swallowed many times before in liquid form during studies of its sensory properties at Monell Chemical Senses Center in Philadelphia. Back at home, he isolated the compound in the oil that made his throat sting, and dubbed it oleocanthal (oleo=olive, canth=sting, al=aldehyde). When Beauchamp’s research team studied oleocanthal in the test tube, they found the substance helped inhibit the activity of pain- and inflammation-producing enzymes—just like ibuprofen (Advil, Motrin) and other nonsteroidal anti-inflammatory drugs do. They speculated that the anti-inflammatory activity could explain some health benefits of the Mediterranean diet, of which olive oil is a prime component. Inflammation is how the body reacts to injury and infection, but when it occurs chronically throughout the whole body, many researchers believe it may contribute to heart disease, diabetes, arthritis, Alzheimer’s and autoimmune diseases, and some cancers. Conceivably, oleocanthal could help prevent or treat these conditions by counteracting the inflammation process. Though clear answers are a long way off, inflammation fighting might be one more reason to favor olive oil over other fats. For the most oleocanthal, choose extra-virgin olive oils, says Monell sensory scientist Paul Breslin, Ph.D., another lead researcher on the study. “They are the first oil pressing of the pulped olive fruit, and so will contain the most chemicals.” Source matters too: Tuscan oils are highest in oleocanthal, while Sicilian, other Italian, Greek, Spanish, Portuguese and some California oils also rate highly. Heating and long storage destroy oleocanthal, so use olive oil within a year of buying (seek brands with dated labels), and add it to foods after cooking, if possible. And though it may have much in common with ibuprofen, don’t count on olive oil to cure a headache, adds Breslin. 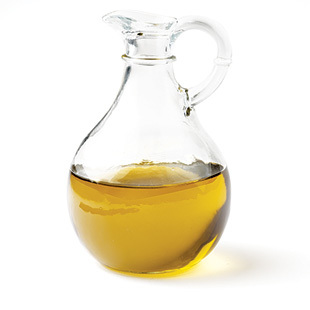 “In order to get a significant amount of oleocanthal, you’d need to drink 6 to 12 ounces of oil”—surely, trading one discomfort for many others. Bottom line: Inflammation fighting might be key to olive oil’s health benefits—but don’t go gulping the stuff just yet. Most likely the good comes from daily, low-dose drizzles.